Messages from the Masters are a collection of channeled messages that I received from the Ascended Masters over a period of seven years. Some of the messages have been published and some of the messages in this new edition are new. All were spoken channellings that were taped and later transcribed as they were received by our group in Brisbane Australia when we would meet each month in meditation, and open to be with the loving beings that always came to share with us. Now, some sixteen years later, as soon as I started to work with this book again I began to feel their presence over-lighting me once more to make any relevant changes and to share what needs to be added and it really has been a delight to feel them so intensely again in my energy field. They are always there, of course, it’s just that what we focus on grows, so immersing myself in their messages has retuned me more powerfully back into their field. 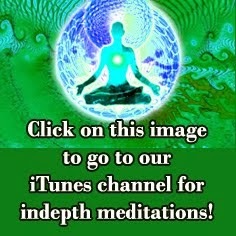 As with all our work there are a few dominant messages which soon become evident to the reader but the Masters main message is about the love, wisdom and power of the Divine One Within and so they inspire us over and over to tune to its Voice, listen to it and allow it to guide us throughout our lives. The Ascended Masters have been inspiring people on Earth since time, as we know it, began. They are behind the formation of all the world’s religions and as such they have had many embodiments in the capacity of great teachers. Research on these ones from channeled information often differs as to which Master had which embodiment, still many are familiar with the energy presence of Mother Mary and many know St Germain to have an alter ego called Merlin and some say he was also Joseph, the father of Jesus. Millions of people on planet Earth are now in direct or indirect communication with these beings of light. Some receive information and guidance as they sleep; others receive instruction and inspiration during their meditation. 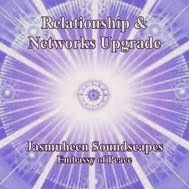 Others like myself, have developed a direct cosmic telephone line to their realms where connections happen as required. They have often said to me that people on planet earth don’t need to have all the answers for all the world’s problems as each one of us carries encoded within, the information we need to create our own personal paradise. We just need to spend time in the silence of the inner planes and open to receive that which we already intuitively know and allow our own innate wisdom to shine forth and guide us individually and also collectively. As we shared in the book “In Resonance”, each human being is a system of energy not unlike a computer. Through applied will, clear intention and joyful focus, we can be de-programmed and re-programmed to learn to move beyond our perceived limitations and also beyond the usual struggle of surviving. We can then be free to thrive and have our life here make a positive difference while we direct the course of our own evolution. When I began to write the Universal Harmonization Program for the Embassy of Peace (at this link), I found myself explaining the difference between extraterrestrial intelligence with advanced technology and the Beings of Light from the higher realms that connect regularly with many via the innernet. As we prepare for the merging of the realms and earth moves into a different frequency band, the extraterrestrial intelligence phenomena will become more apparent so education into these realities has become more important. The difference between E.T.’s and Light Beings is basically consciousness, an awareness of – and experience of - our own divine nature. The more ‘at one’ we are with our own spirit essence, then the more we can experience the limitless nature of the web of love and oneness that flows through all. Contact with the Beings of Light of the interdimensional realms is accessed via an expansion of our own consciousness, but basically interdimensional communication happens naturally when we tune to specific channels, just like television. If we cannot access the frequency band that these realities are beaming through, then we cannot have an experiential connection and have to rely instead on mental paradigms. Still whether these ideas are based on a personal experience or stay just as a mental possibility, education about them can remove ignorance and also its companion of fear. My personal experiences with interdimensional communication commenced consciously in 1974, shortly after I was instructed in the art of meditation; when I began to receive telepathic imprints from people I knew who had died and wanted me to pass messages on to their loved ones. These messages were so clear, and came with such a specific energy, that it was impossible to accept them as anything other than telepathic messages from another realm. In 1987, after a decade of regular meditation, I started to receive telepathic contact with Biblical figures such as Elias and Elijah who provided very basic insights that helped me in my own life. These uplifting messages were always to do with the power of faith, trust and love and I found when I accepted and applied these insights my life experience improved. In the early nineties I entered into a decade of almost daily telepathic contact with the Ascended Masters during which I received very clear communication with a group called the Intergalactic Federation of Worlds Council (IGFWC). While I had had contact with this group before, it was not until I underwent a particular spiritual initiation that this contact became regular. The Intergalactic Federation of Worlds Council (IGFWC) is similar in function to the United Nations in that one of its programs is to keep an eye on the development of various planets particularly when the planet’s inhabitants choose to evolve in a more civilized manner and move beyond the creation of war, poverty and violence. Connecting telepathically via our meditations and via the dreamtime, many meditators have been receiving conscious or subconscious communication with the IGFWC for some time. How long these Light Beings have been subtly guiding me before all of this, I do not know. I had spent the previous two decades involved in the Eastern spiritual practice of service, satsang and meditation – the daily practices of which had brought me the gifts of discipline, dedication and devotion which was no doubt instrumental in tuning me to the Light Beings inner plane channels. Meditation gave me detachment, peace of mind, a connection with the Inner One – that eternal voice of wisdom that many call their gut instinct or intuition; the voice that others may call Infinite Intelligence or the God within and the voice that these Beings of Light are always asking us to tune to. Service provided a sense of humility, to do for others without seeking reward and satsang was about being in the company of the truth of timeless wisdom. This daily lifestyle was inspirational, supportive and motivational. A young Western woman choosing to explore an Eastern philosophy and ancient esoteric practices was not exactly the ‘norm’ so it was both nurturing and empowering for me to be with people who had intuitively realized that they were more than just their body, emotions and mind. After twenty years of the ‘service, satsang and meditation’ lifestyle and tuning to the Eastern masters, in the early 1990’s a taped channeled message from the Ascended Ones magically found its way into my possession and a few ‘missing pieces’ clicked into place for me. As a conscious relationship with them began, over the next period I surrendered to the fact that my years of meditation had subtly been tuning me to their channels where I began to learn more about telepathy and soon I began to channel. The ‘accidental’ death of my brother when I was 14 had given me the gift of awareness of ‘other’ realms as our family continually felt his presence with us. Meditation from ages 17 to 35 had changed my frequency and my electromagnetic signals, as had the realizations gained from some painful and powerful lessons through what I had often earlier thought to be the ‘school of hard knocks’ – called life. Connecting with, and building a conscious relationship over the years with the Ascended Ones has brought another reality into my life, one of deep contentment and heart-felt joy, as through this connection I have been able to understand the science behind spiritual realities. Never one to be led by just trust or faith, I have always wanted to know how things work, not just why or the fact that they do. Even today after countless interactions with these incredibly loving Beings of Light, there is magic and synchronicity still tinged with awe as I discover more of the interdimensional realms. Then, after a decade of close contact with these ones, they slowly seemed to disappear from my life telling me that I had graduated and knew what to do so to ‘just do it’. Although I intuitively felt this to be true, at first I missed our constant telepathic contact, yet, with a non-stop flow of creativity and insight, my service work seemed to stretch out endlessly before me with books to download, invitations to fulfill and joy to be experienced in each moment. Thankfully whenever I’ve really needed it contact has always occurred and I have also always found them with me when I have guided any group via deep meditation into their realms. In February 2007 - while taking a group on an interdimensional, inner plane journey - I connected with the Lords of Peace, in the 5th dimensional Venus sector, and was guided to establish the Embassy of Peace to consolidate all the work I had been doing with them the previous decade. Finally at the end of 2007, again in meditation I heard the loudest voice with the clearest telepathic message that simply stated: Prepare them for Contact. This statement raises many issues, as before we can have contact with the type of Light Beings that are beneficial for us to connect with; we need to have deep experiential contact with our own Divine nature as it is the connecting force or bridge for interdimensional access. Contact with and understanding our own divine nature is something that my previous manuals have always focused on, and being guided intuitively by the Divine One Within us is also the answer to maintaining sovereignty and independence as we experience the multi-verses and intermingle with the Beings of Light. “Prepare them for contact” also means providing educational data so that we can understand the different realms and differentiate between extraterrestrial intelligence that is technologically advanced enough to connect with us, and the type of higher intelligence of the truly civilized worlds that exist interdimensionally. Just because beings are technologically proficient enough to travel the galaxy doesn’t mean that they are beings who are always loving and wise, it just means that they have been around longer than us and have had more time to evolve within the linear timeframe of the 3rd dimensional realm. The Beings of Light that I am focused on regarding ‘contact preparation’ are those from the fifth dimensional realms and above. 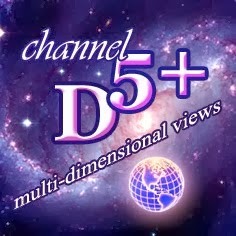 Fifth dimensional life forms have a very different frequency to those in third dimensional realities. Firstly their clairvoyant, clairaudient and clairsentient abilities are highly refined making telepathy the normal method of communication. Secondly due to their vibration they no longer need to have physical forms and can manifest bodies at will to suit their own requirements. Generally they manifest themselves holographically or as energy bodies that can be seen on the inner planes via our clairvoyant nature. I would like to point out that I never consciously sought out any of these experiences, they come to me when our frequencies match and there is a need to communicate. All I ever did was engage in heartfelt prayer and consciously seek answers to the numerous questions I have had in life regarding both personal and global issues. All my inner plane visitations and bilocation experiences with these Beings of Light have come when I have least expected it and have been content to just sit in meditation and feel the love flow there. This to me is the key, just being in the field of the purest love, bathing in its currents, for it is here where miracles seems to occur and Grace flows most freely. All of what I have just stated raises many questions which we will address throughout the Universal Harmonization Program of the Embassy of Peace Manual. Suffice to say that after experiencing more than two decades of clear telepathic contact with these Beings of Light from the interdimensional realms, I have come to call myself a cosmic reporter as most of what I have been recording in my written work over these past 15 years has come via my connection with them. Even my work with the Prana Program came to me via these ones in response to my own long held desire to find a solution to world health and hunger issues. I would also like to state that these beings never interfere with free will; they are not here to colonize our world or harvest our material resources as they encourage self-sovereignty. They are available in this realm of reality only because many have sought solutions to a variety of issues, via prayer and meditation, while others have just been focusing on the expansion of their own consciousness and, in the process of their personal unfoldment, they have found that they are now able to access and enjoy the interdimensional realms and the beings that dwell there. There is no mystery as to how and why this occurs as it is the lifestyle of many shaman, metaphysicians and spiritual seekers that has opened very particular energy vortices to allow information to flow freely between the realms and I am not unique in my experiences with these beings. As a cosmic reporter and founder of the Embassy of Peace, I feel that it is time to broaden the traditional mass perception of extraterrestrial intelligence just as it is time to look more pragmatically at our place within such a paradigm and to also finally go beyond the hype of such things. We have long been subjected to Hollywood movies that show E.T. realities as a ‘them and us’ game of evil (them) versus good (us) as the aliens try to take over our world. As Edgar Mitchell announced to the global press in July 2008 the technology of the E.T.’s who are in contact with world governments, is so superior to ours that if they had of wanted to conquer us they could have done this a long time ago. We have also enjoyed many other insights into the E.T. realms via Star Wars, Gene Rodenbery’s Star Trek Series and many more. Just what is real and what is pure fiction? How much of what is termed fiction is actually intuitive insight by those receiving data from other realms in the dreamtime? What about the metaphysical idea that if enough people believe something to be true they will bring it into reality in either this world or a parallel world? There are so many unanswered questions and while I do not propose to have all the answers hopefully the Universal Harmonization Program offered by the Embassy of Peace will be a basic start that will add another valuable layer to the work being done by others. 1. Extraterrestrial intelligence exists and falls into many categories and we need to be able to wisely differentiate between them and use our discernment in dealing with them. 2. For example, according to Exopolitic author and E.T. researcher Dr Michael Salla, there is a total of 17 different extraterrestrial races now interacting with Earth and some 57 races known to the US military. Exopolitics is the study of the key individuals, political institutions and processes associated with extraterrestrial life. 3. According to various metaphysicians and shaman, Earth will soon move en-mass into a more civilized state of existence that will include regular contact with E.T realities of various dimensions. 4. For the purpose of our discussions, a dimension is a band of energy that is classified by the consciousness of the species within it. 3rd dimensional reality is what we are used to within the earth plane but there are beings of intelligence that exist in dimensions higher than ours. 5. Also note that due to the frequency of these higher realms dense bodies molecular structure cannot be kept and beings here move as telepathically interconnected fields of consciousness and light. 6. Which E.T. band of reality we access is determined by how integrated and in our Mastery we are. Integrated means being healthy and happy on all levels of our being – physically, emotionally, mentally and spiritually and at one with the Divine Force that gives us life. 7. The difference between E.T.’s with advanced U.F.O. type technology and Beings of Light from the interdimensional realms, who can teleport or send holographic projections of themselves, is consciousness. Our consciousness determines which dimension we have been magnetized into and thus operate from. 8. The Embassy’s Personal Harmonization Program expands our consciousness so we can explore other realms of reality beyond 3rd dimensional earth based paradigms. 9. Regarding sovereignty issues raised in the article printed by the Canadian News, we do not need to be rescued by either E.T.’s or Light Beings. We are driving this change and expansion as the Masters we are. It is our frequency and our individual and collective desire that is creating this moving of our worlds into a higher paradigm. We do not need to give away our power to any external force but need instead to experience the wonder of the internal force that has gifted us with life that can guide us perfectly through all situations. Our path with the Embassy of Peace is always to maintain personal sovereignty as the Divine Beings we are in essence. 10. The timing is now up to us but certain things need to be attended to which will then determine which realm we will individually and then collectively enter. These things have been covered in the first part of our manual under the Personal and Global Harmonization Programs. 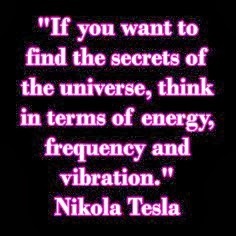 12. and as we refine our frequencies we can tune into and be aware of other ‘channels’ or dimensions of existence. 13. Other beings, and beings of light, exist on other realms or dimensions that we can access by simply changing our frequency and, consequently, our channel. 14. Not all who exist on other realms are beings of light or beings motivated by the highest good of all, e.g. disembodied spirits on the astral plane and also extraterrestrials who are technologically advanced with space craft and time travel but whose consciousness and awareness levels are still very third dimensional. 15. All beings of light are by nature spiritually evolved and are called beings of light because of the degree of light they manifest in their form. Light is the visual aspect of our God essence – our DOW – who knows who these ones are. 16. All beings of light are in conscious and committed service to First Cause or harmonious co-creation. 17. The service of the Great White Brotherhood is to aid Earth and her inhabitants in their reawakening and reunification with their God Self – the Divine One Within. 18. Earth’s evolutionary game is a speck in a corner of a quadrant in a universe which is a speck in the total galactic picture yet in the web of life everything is interconnected and so each part influences the whole via the Universal Law of One. 19. Contact with E.T.’s and Beings of Light can occur on various planes of existence. While much has been placed on the World Wide Web regarding ‘involuntary contact’, there is also ‘unconscious voluntary contact’ where those contacted have made agreements in another timeline to have this type of interaction. The ‘conscious voluntary’ contact is something that usually happens between meditators and Beings of Light on the inner planes and most will say that contact of this type often happens unexpectedly when the contactee was not expecting it. 20. E.T. testimony sources are now quite varied – ranging from those with firsthand experience of alien abduction, some of whom have had physical interaction with U.F.O.’S; to those who have seen U.F.O.’s or been involved in Government projects re this; to the more mystical-meditative experiences that myself and many others have now enjoyed with the Beings of Light. 21. We wish to state again that just because an E.T. race is technologically advanced does not mean they are benevolent beings, it just means that they have been around longer that us and have had more time to develop such technologies. Many of the races now interacting with our Governments do so for mutually beneficial reasons that are not always for our collective good. 22. Again we wish to state that the point of this part of the Embassy’s program is to provide education regarding Beings of Light from the interdimensional realms who are loving, wise and compassionate and who are here by the invitation of our metaphysicians to harmoniously assist us as colleagues to move collectively into the higher paradigm of the Universal Nations. 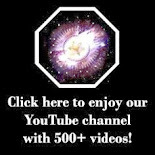 Before we move on we would also like to add data regarding the first-life Starborne, the Akashic records, the Paradigm of the Universal Nations, the Intergalactic Federation, the Lords of Peace, telepathy and communication and Inter-Dimensional Language. Starborne:- this is a term often used to describe Earth’s people as it is well known throughout the interdimensional realms that we were genetically ‘seeded’ by various intergalactic races. Our species is said to be quite envied by many as - since we are the blending of so many genetic streams - we have the potential to manifest great things once we align with DOW power, love and wisdom and apply Universal Law to Earth’s operating systems. Starborne-First-borne:- is the term that we wish to look at here. This term applies to many people who have descended from highly civilized realms to take embodiment for the first time on planet Earth to assist in the current shifting. In order for these ones to cope with being in a world of duality with its shades of darkness and light and the polarity of positive and negative, these Light Beings of advanced consciousness must pass through the Akashic Records to be imprinted with insights and virtues of others who have previously been on Earth. As such they have no karma or cellular memory that is their own as the information they care within of such things are just imprints to help them understand the human race. First-life Starborne and the Starborne who are still relatively new to Earth – 1st or 2nd or even 3rd incarnation and can be identified by having experienced the things mentioned earlier in Brad Steiger’s questionnaire. Akashic Records:- The Akashic Records or “The Book of Life” can be equated to the universe's super computer system. It is this system that acts as the central storehouse of all information for every individual who has ever lived upon the Earth. More than just a reservoir of events, the Akashic Records contain every deed, word, feeling, thought, and intent that has ever occurred at any time in the history of the world. The Akashic Records are also interactive in that they have a tremendous influence upon our everyday lives, our relationships, our feelings and belief systems, and the potential realities we draw toward us. The Akashic Records contain the entire history of every soul since the dawn of Creation. These records connect each one of us to one another. They contain the stimulus for every archetypal symbol or mythic story which has ever deeply touched patterns of human behavior and experience. They have been the inspiration for dreams and invention. They draw us toward or repel us from one another. They mold and shape levels of human consciousness and are a portion of Divine Mind. They are the unbiased judge and jury that attempt to guide, educate, and transform every individual to become the very best that she or he can be. They embody an ever-changing fluid array of possible futures that are called into potential as humans interact and learn from the data that has already been accumulated. Information about the Akashic Records can be found in folklore, in myth, and throughout the Old and New Testaments. It is traceable at least as far back as the Semitic peoples and includes the Arabs, the Assyrians, the Phoenicians, the Babylonians, and the Hebrews. Among each of these peoples was the belief that there was in existence some kind of celestial tablets which contained the history of humankind as well as all manner of spiritual information. Some say that one of the reasons behind the huge spiritual awakening that is occurring on the planet, is that our civilization has been pre-programmed to move into the reality of the Universal Nations. In another space and time there exists amazing civilizations that are held within the Dimensional Biofield. These are realms of existence of respect, love, harmony, where all co-exist while honouring universal law, and each other. Until Earth’s people can mature beyond the reality of hate, violence, social injustice and war these higher perfected realms will remain hidden from us. As was mentioned previously, half of the attending Andromedian Council members wanted nothing to do with Earth as long as humans here do not respect themselves, each other and our planet. Nonetheless many among us who have adopted a holistic lifestyle that sensitizes us enough to experience the inner planes are now finding that the veils between the worlds have disappeared and as a consequence we have begun to receive communications via such networks as the Intergalactic Federation of Worlds which operates on the inner planes in a manner similar to Earth’s United Nations as well as from other E.T.’s mentioned. The revelation of the Universal Nations is occurring for more and more people every day as we fine-tune our Personal Biofields. The completion of the Embassy of Peace Programs will introduce the world to its rightful place among the Universal Nations as to embrace these programs is like saying that we are now choosing to operate in a more respectful manner towards all life on Earth. The I.F.G.W. has the role of monitoring the development of all civilizations within this universe; and to see how the actions of all beings in each sector are imprinting the Cosmological and Dimensional Biofields. The Intergalactic Federation of Worlds Council is similar in function to the United Nations in that one of its programs is to keep an eye on the development of various planets particularly when they choose to evolve in a more civilized manner where all life is honoured. When a planet and its inhabitants desire to move beyond the creation of war, poverty and violence and when they apply their focus on the type of principles we offer in the Inter-Planetary Program with its pathways of Elysium and adhere to Universal Law, then the I.G.F.W.C. becomes more active with those who are open to their channel. 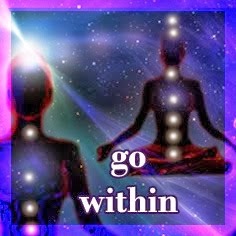 Connecting telepathically via our meditations, and via the dreamtime, many meditators have been receiving conscious or subconscious communication with the I.G.F.W.C. for some time. The Lords of Peace – Venus Sector:- These beings gather in fifth dimensional space on Venus – usually in their Lightbodies - to oversee the rising of worlds out of third and fourth dimensional spaces into the fifth dimensional aspect of the Matrix of Oneness that runs through all life. It is via their invitation that we have now established the Embassy of Peace on Earth and now release this manual. Third dimensional Venus is a barren planet and life there exists in a higher energy band that can only be detected through the expansion of our own consciousness via dreamtime and meditation experiences. http://www.lulu.com/content/424504. However our clairvoyant, clairaudient and clairsentient abilities naturally improve as we apply the Personal Harmonization Program in the Embassy of Peace manual which also offers Universal Harmonization Program. The number of respondents to the questionnaire now number over 40,000, from nearly every part of the globe.  59% have had dreams or visions in which they were viewing a city or a planet made of crystal or diamonds.  60% state that since childhood they have "dreamed" that they were taken during sleep to receive special teachings in an unusual classroom or temple setting.  69% have had vivid dreams in which they are in a spacecraft and viewing Earth from a perspective far away from the planet.  36% have memories of having been asked to eat a strange food during a dream.  39% recall having to drink a peculiar liquid that was offered to them.  53% experienced dreams in which they see Earth as it might have appeared in prehistoric times.  54% perceive themselves in dream scenarios as being an actual member of a UFO crew.  43% state that they have in dreams observed themselves coming to Earth as a Being of Light.  44% have dreams in which they who sense themselves encircled by smallish entities [perhaps suggestive of an abduction experience] .  49% have regular dreams or visions in which they are drawn aboard a UFO to receive counsel and instructions.  79% have viewed themselves in "biblical" times communicating with known religious figures, such as Jesus, Moses, Elijah, or one of the Disciples.  94% have experienced a sense of oneness with the universe.  70% report an intense religious experience.  86% claim an illumination experience.  92% have experienced telepathic communication with another entity, material or nonmaterial, human or alien.  76% have seen a ghost.  79% have perceived the spirit of a departed loved one. 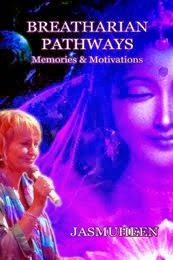  72% accept reincarnation as reality and have experienced prior-life memories.  85% believe that they have lived a prior existence on another planet or in another dimension.  95% report out-of-body experiences. 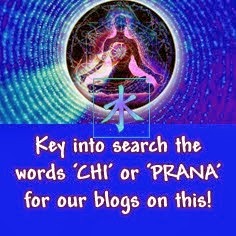  62% claim the ability to perceive auras. 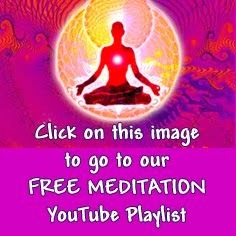  71% have experienced a white light during meditation.  69% have been able to accomplish dramatic healings of themselves or others.  41% practice automatic writing.  87% believe that they have received some form of communication from a higher intelligence.  77% have perceived spirit entities.  75% have experienced clairvoyance.  66% have made prophetic statements or experienced prophetic dreams or visions that have come to pass.  79% report the visitation of an angel.  77% reveal the manifestation of a Light Being.  54% feel that they have been blessed by the appearance of a Holy Figure.  93% are convinced that they have a spirit guide or a guardian angel.  87% admit to having had an invisible playmate as a child.  43% state that they once spotted an elf, a "wee person."  73% have perceived devas or nature spirits.  87% are certain that they have encountered alien entities of an extraterrestrial or multidimensional nature. 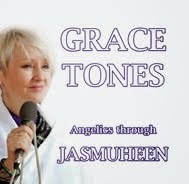 COSMIC COLLEAGUES - Messages from the Masters:- A selection of loving, timeless and insightful channeled messages through Jasmuheen to inspire and support all through these changing times. 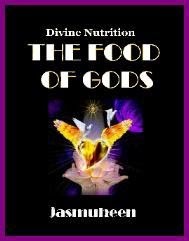 In this book Jasmuheen shares of her personal relationship with these ones. As Saint Germain once shared with her: The Master discerns which experience, he or she will have while dwelling in physical form in God’s kingdom. The Master, through all realms of expression, creates around them in every now moment that which serves them fully in the awakened state in each now moment … From Mother Mary: Spirit and reason go hand in hand and reason will deliver you to the embrace of spirit, for reason was birthed in spirit. Reason is like the sheep that come back home to the shepherd. Times of contemplation will allow you to make peace with all aspects of your Being; to recognize your humanness and love all parts of you without judgment. Remember that love is the only real power of lasting transformation.